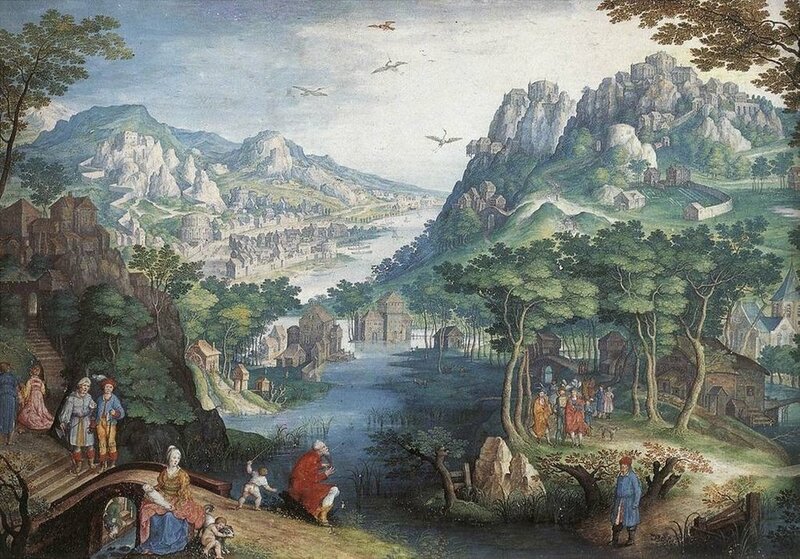 The connection of the Haftorah to the Parsha: Parshat Vayeitzei relates how Yaakov escaped from his murderous brother, Esav, and fled to Lavan’s home. It was there where he married Leah and Rachel. The 1st Pasuk of the Haftorah summarizes the above events. 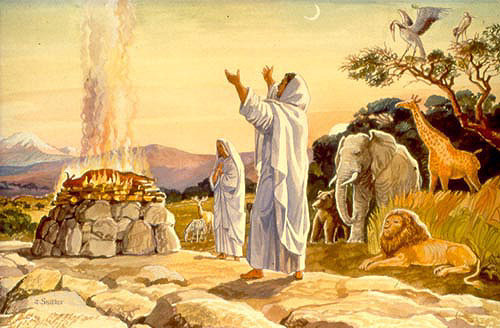 The storyline of this week’s Haftorah: We begin this week’s Haftorah with Hosea explaining how the Israelites are torn between returning to Hashem and worshipping Pagan religions like Asherah & Baal. Hosea pleads with the Ten (soon to be lost) Tribes. They are unwilling to repent. Hosea tells the Jewish People that Hashem (G-d) will never totally destroy his people the Israelites, even though they deserve it. Hosea continues to warn the Jewish people that if they don’t do Teshuva - repentance, Hashem will exile them from the Land of Israel. The Prophet continues with words of reassurance that after their exile Hashem will return the Jewish people to the Land of Israel. Hosea repeats that the kingdom of the 10 tribes, the Northern tribes that seceded from the 2 tribes of Judah & Binyamin are sinful. The Haftorah also mentions that the Kingdom of Judah is also guilty of sin. The Prophet Hosea explains what the Judean's should have learned from Jacob’s story. Just as Hashem punished the 12 sons of Jacob, so will he punish their descendants, all 12 tribes as well. Hosea points out two specific sins that B’nai Yisrael must stop committing: fraud and idol worshipping. The Ashkenazim pick up where the Sephardim leave off. Hosea has words of reproof for the Kingdom of the Ten Tribes. Hosea reminds the Jewish people that their idol worshipping is in vain and man’s success is only in Hashem’s hands. Hosea says the kingdom of the ten tribes will be blamed for idol worship, and as a result of their sins, their punishment will be exile and or death. Hosea gives the call to the Jewish people to do teshuva. The Almighty’s response to teshuva will be that the Israelites will avoid being thrown out of their homeland. Hashem promises the Jewish people that if they repent “I will answer all they ask of me and I will look after them”. The Almighty’s ways are just. The Haftorah concludes with the words “he who is wise will understand the following words, Hashem’s ways are just. The Tzadikim – righteous ones who walk in my ways will be given eternal life”. His father’s name was Be’eri Hanavi (The Prophet), from the tribe of Reuven. He lived in the Northern Kingdom of Israel, where his prophecies took place. Hosea’s prophecies took place from 760-720 B.C.E., about 2700 years ago, while King Solomon’s Temple was still standing in Jerusalem and before the 1st exile, of the 10 northern tribes by Sancherev, King of Assyria. He told Hashem “If you don’t like the way the Jews are behaving, choose another people”. Hashem didn’t like that and told him to marry Gomer, a woman who he loved and was unfaithful to him. Gomer was from Diblaim. Before Hosea was married to her, she was a harlot. They had 3 children, 1 daughter Lo-ruhama or Object-of-nomercy, because Hashem had decided to no longer be merciful with the Jews who refused to repent. And two sons: Lo-ami or Not-my-people, because the Jews had forfeited their claim to being the Hashem's "Chosen People", and Jezre’el, The-G-d-of-powerful-mercy-will-plant or Hashem-will-gather-in-the-exiled-Jews-and-plant-them-in-theirhomeland. Hashem instructed Hosea to send his family away. Hosea couldn’t stand it. Hosea’s contemporaries were the prophets Isaiah, Amos and Micah. Hosea was the greatest of them, the first of the four to experience prophecies. For 40 years Hashem warned the Jewish people through Hosea. His prophecies took place in the time of the first Beit HaMikdash. Hashem spoke to him once. Hosea died in Babylon. Hosea desired to be buried in the Holy Land at that time when the journey to Palestine was beset with much peril. Thus, he requested before his death, that his coffin be loaded on a camel and for the camel to make his way as he would. Where ever he stopped, there Hosea was to be buried. So it was done without a single mishap. The camel arrived in Sefad at the Jewish cemetery of the town. The camel stood still and there Hosea was buried in the presence of a large crowd. 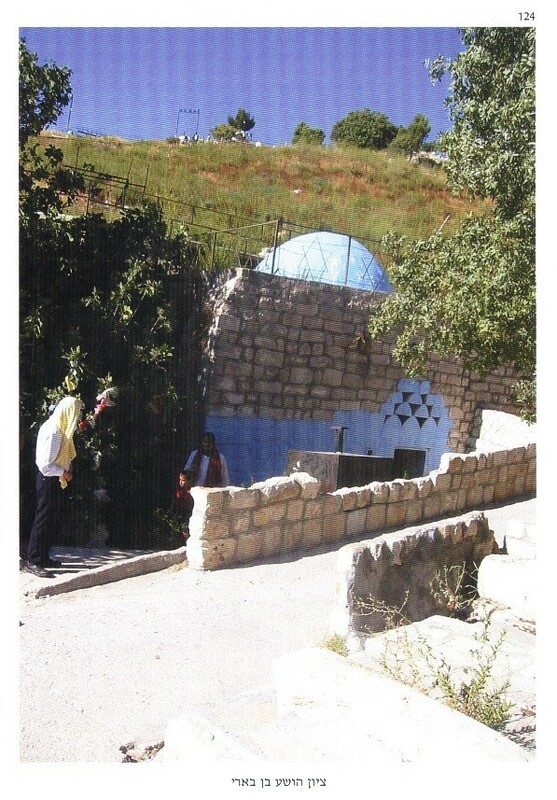 The Mikveh (Ritual Bath) of the Ari Ha’kadosh the Great Kabbalist from the 16th Century is in Tzfat (Sefad), which is also where the Prophet Hosea is buried. Famous Phrases: Hosea 9:10, “Ke’a’vanim Bamidbar”, “Like Grapes in the Desert”. It’s like finding something important in a place where one has no hope of finding it. This is probably where the saying “It’s like trying to find a needle in a haystack “comes from. The seal of King Ahaz of Judah, who ruled from 732-716 BC. In the mid-1990s a very important bulla showed up on the antiquities market. A bulla is a flattened lump of hardened clay bearing the impression of a seal. They were used to seal papyrus documents. The papyrus would be folded and tied with a string. A soft lump of clay would then be placed on the string and impressed with a signet ring or pendant bearing the seal of the sender. The clay would harden, thus securing the contents of the document. Bullae are usually small. This one measures a mere 2/5” wide. The back of the bulla still bears the imprint of the papyrus it once sealed, as well as the double string which held it together. It even contains a fingerprint on the left edge. Like many bullae, it was preserved due to fire. When a city was burned by an invading army, it would cause the destruction of most artifacts, but would cause the bullae to be preserved. Just as in a kiln, these bullae were baked to perfection. Many bullae have been discovered. What makes this bulla remarkable is its inscription. It reads: “Belonging to Ahaz (son of) Yehotam, King of Judah.” Given the process that created and preserves bullae, they are virtually impossible to forge, so most scholars believe this bulla to be authentic. It bears the seal of King Ahaz of Judah, who ruled from 732-716 BC. This is another extra-biblical confirmation of the existence of King Ahaz. This find puts us in much closer touch to the Biblical king than a mere mention of his name in extra-biblical documents/artifacts. This was the seal he himself used to certify official court documents! It is possible that the fingerprint is that of Ahaz himself. If so, it would be the only fingerprint evidence of a Biblical king. Around the edge of the bulla is a 1mm thick groove, indicating that the seal which made the impression was encased in a ring or pendant. Timeline: Hosea lived about 2600 years ago in the Jewish year 3130.